Minecraft 1.9 is out! See what's new. There is a way to “win” Minecraft, and that is to defeat the Ender Dragon. This is the toughest challenge built in to the game. 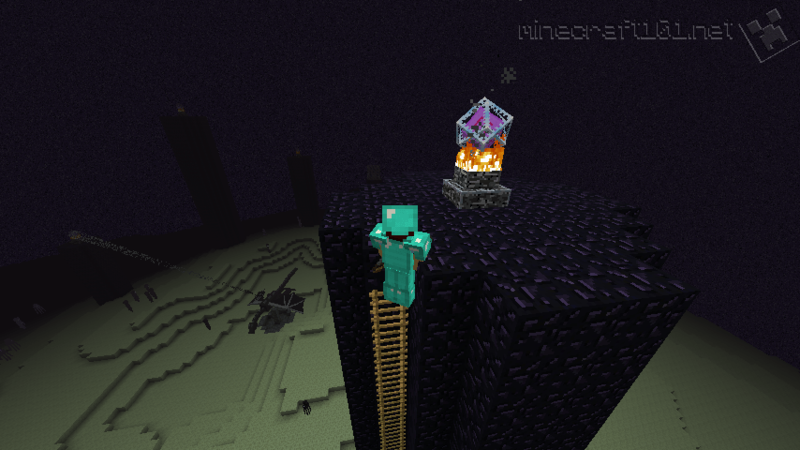 The goal is to travel to The End and defeat the Enderdragon. Don’t worry, you can go back to your world when it’s done! First you will need to find a Stronghold, then activate the End Portal before finally travelling through to meet the ultimate challenge. 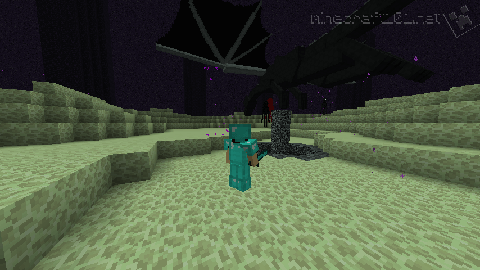 If you can defeat the Ender Dragon, you will be able to explore the rest of The End! Here is a step-by-step guide. 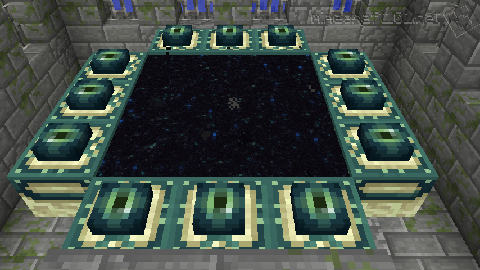 If you haven’t found a Stronghold yet, make some Eyes of Ender. 3 or 4 should do, but you will need more later so make 15–20 if you can. Pack your equipment and prepare for an overland adventure. Go outdoors and throw an Eye of Ender into the air. It will move in the direction of the nearest Stronghold, then fall to earth. Usually you can pick it up again, but sometimes it breaks. Travel in that direction for a while then throw the Eye of Ender again. Make sure to leave a trail of torches or something to mark the route so you don’t get lost! Repeat the process until the Eye floats slowly to the ground over a particular spot. You have found your Stronghold. Don’t dig straight down! 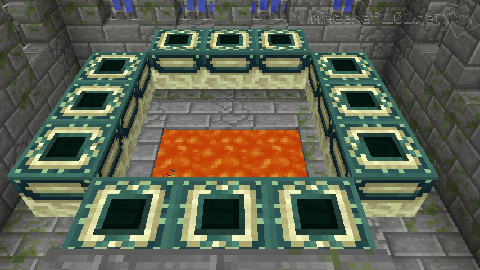 As you can see above, there is lava in the Portal chamber. Tip: If the Stronghold is a long way from your home, you may want to build a rail line or a route through the Nether connecting the Stronghold to your base to reduce travel time. 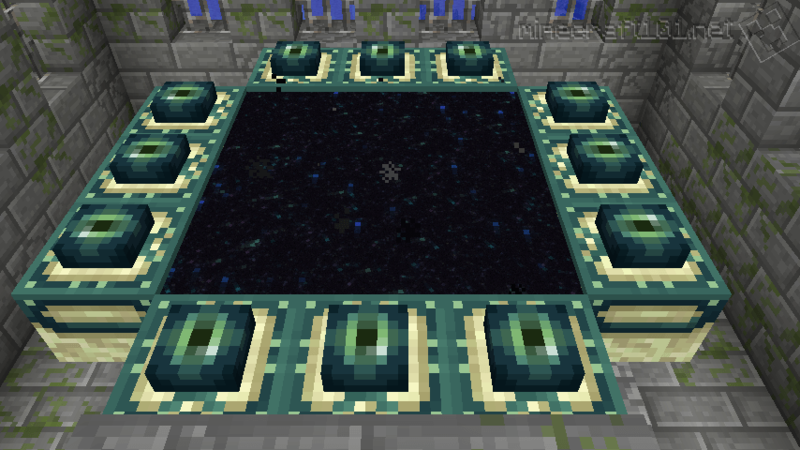 Once you have explored your fortress and located the Portal Chamber, bring 12 Eyes of Ender and place one in each of the End Portal blocks. This will activate the Portal. Do not pass through the Portal until you are ready to take on the Ender Dragon! 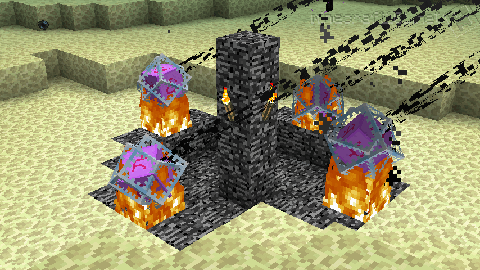 Activate the End Portal by placing 12 Eyes of Ender in the sockets. Equip yourself for battle with the following equipment. You may want to place some chests near the portal with spare sets of equipment, in case you die in The End and want to have another try quickly. If so, also place a bed and sleep in it so you will be able to get back without having to travel from your base to your Stronghold. When you pass through the End Portal, you will need to be equipped for a tough fight. Armour: the best armour you can manage, preferably enchanted Diamond Armour, will keep you alive. Boots: there’s a good chance you will be falling from a great height at some point in this fight, so boots enchanted with Feather Falling will be a big help. Sword: There are lots of weapons you can use to kill the Dragon, but the best would be a diamond sword, preferably with a high-level Sharpness enchantment. Pickaxe: never leave home without one! Food: Bring some good food as you will take damage and want to heal. Ladders: bring three or more stacks of ladders for climbing. Blocks: a stack or two of blocks; cobblestone or whatever. Healing and Regeneration potions are always useful in a fight! It’s dark in The End so potions of Night Vision will be useful. Pumpkin (optional): The End is full of Endermen; wearing a pumpkin as a helmet can help you avoid having to fight them, but on the other hand it restricts your vision. A piston and a Redstone source (torch, lever or button) to collect the Dragon Egg if you win. Glass vials - if you want to collect Dragon’s Breath for making potions. When you are ready, jump into the End Portal. Don’t worry, if it is active, you won’t fall into the lava. You will find yourself on an obsidian platform in an eerie place made of greenish End Stone and populated by Endermen. 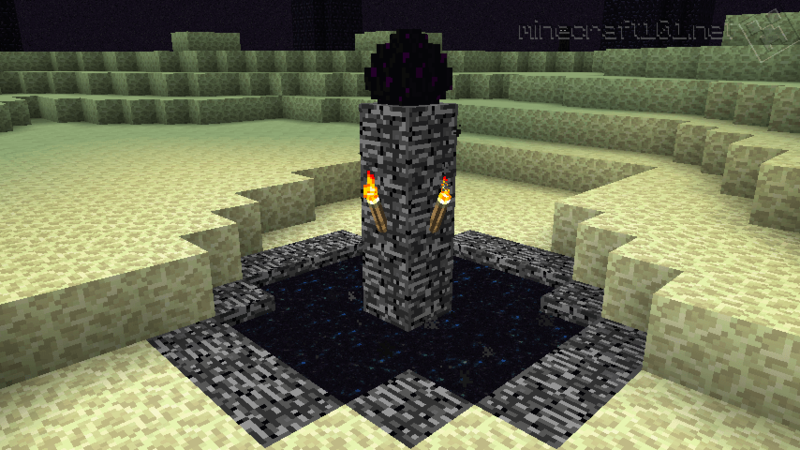 The fight will take place in a circle of obsidian pillars called End Spikes. If you find yourself in a small cave, dig a staircase upwards to the surface. if you are on a floating platform away from the main island, throw an Ender Pearl to teleport yourself across, or build a bridge with the blocks you brought. Don’t look at them and they won’t bother you! If you really have trouble avoiding eye contact, wear a Pumpkin instead of a helmet. The Dragon will attack you in many ways: It can attack with both fireballs and a breath attack: both of these attacks leave a cloud of poison that you should stay out of. The dragon will also damage you if it hits you with its head or wings, but your armour should keep that to a minimum. The biggest risk is that the Dragon might knock you into the air or off a tall End Spike, causing you to take a lot of fall damage. 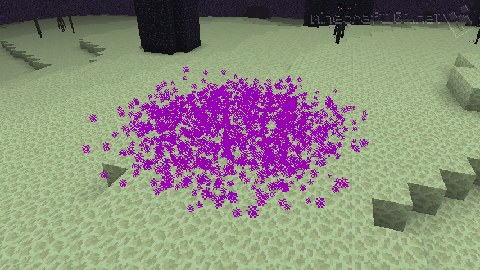 Boots with Feather Falling will do a lot to reduce this, but quick skills with an Ender Pearl or Water Bucket will help you. Read our guide to surviving a fall here. When the Dragon is charging at you, hitting it in the head with your sword or an arrow might make it abort its attack. The dragon is healed when it flies near an End Crystal, so don’t waste time attacking it until the crystals have been destroyed. Each End Spike has an End Crystal on top. You need to destroy these before you fight the dragon. Some of them you will be able to shoot with an arrow from ground level. 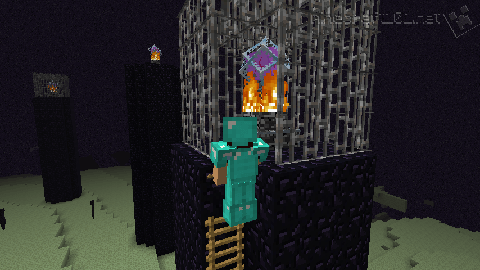 Two of the crystals are protected by an iron cage: you will have to climb up and break the cage with a pickaxe. Standing at the top of a ladder that is one block below the spike, you can destroy the crystal without being harmed and also get a good shot at the crystals on the other spikes. TIP: The dragon will attack you more frequently as you destroy the crystals, so it may help to attempt the hardest climbs erly in your attempt. When all the End Crystals have been destroyed, it is time to kill the dragon. The Dragon spends about half of its time hovering over the Exit Portal at the centre of the arena. While it is there you can hit it with your sword. Stand behind the dragon to avoid its head and wings. After a while the dragon will fly away, but it will soon come back. Keep going until you have killed it. Several things happen when you have killed the dragon. First, you get a LOT of Experience Points. Second, the Exit Portal will become active, with a Dragon Egg on top. And third, an End Gateway will appear, granting you access to the Outer Islands. 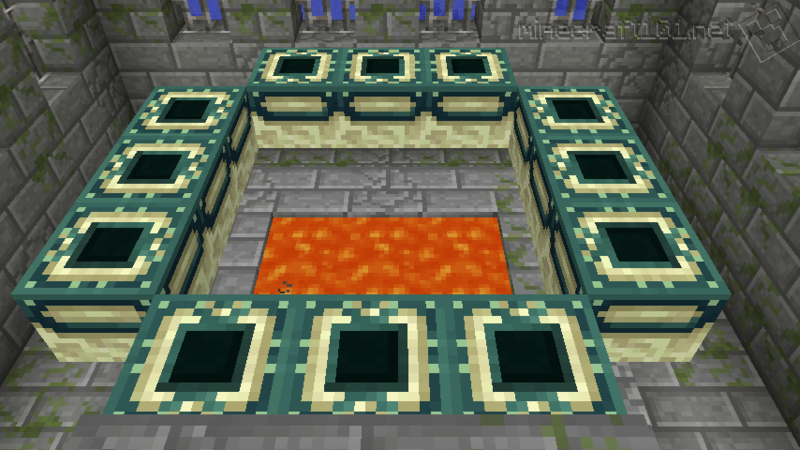 Cover the Exit Portal with blocks to stop the Egg from falling through. Place a piston next to the Egg so that when it is activated it will push the egg. 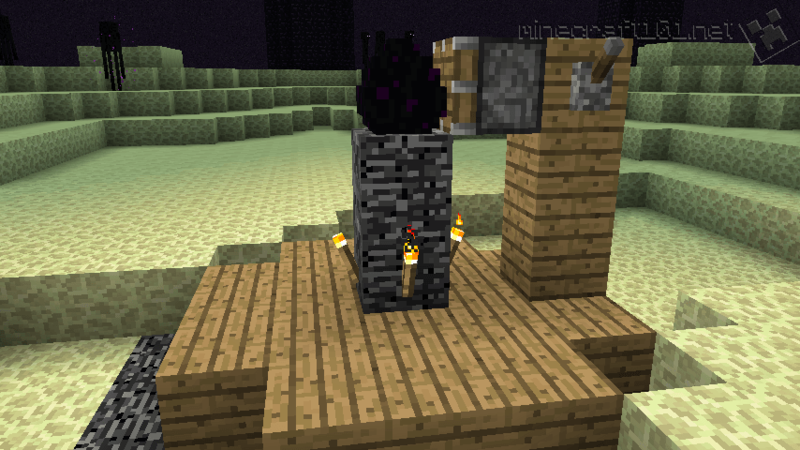 Activate the piston with a Redstone Torch, Button or Lever. An End Gateway will have appeared. It’s too small to walk through. Can you solve this puzzle? Answer: Throw an Ender pearl to teleport through. Aim carefully , if you miss you’ll end up somewhere horrible. 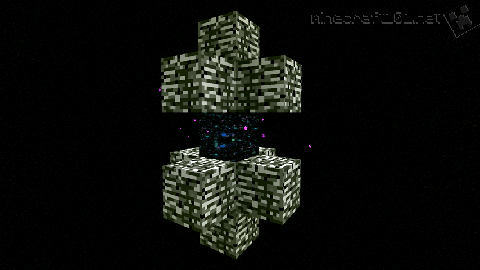 Jump through the Exit Portal to return home and “win” Minecraft. Congratulations! You can respawn the Dragon and do it all again by crafting four End Crystals and placing them around the Exit Portal. Keep yourself topped off with food at all times. Diamond armour will make you immune to some of the Dragon’s attacks, but you’ll take frequent fall damage. The biggest danger is being knocked off a tall End Spike, so be quick while you’re up there. However, sometimes it’s worth pausing long enough to shoot the crystals on nearby Spikes. Can you climb a short Spike so you don’t have to climb a tall one? If you bring empty Glass Bottles you will be able to collect Dragon’s Breath for use in making potions. Don’t worry too much about this on your first attempt, however: you will have enough to think about! Share on Reddit. Share on Twitter. Share on Google Plus. Share on Stumble Upon. Share on Tumblr. Follow on Twitter. Follow on Google Plus. Follow on Tumblr. 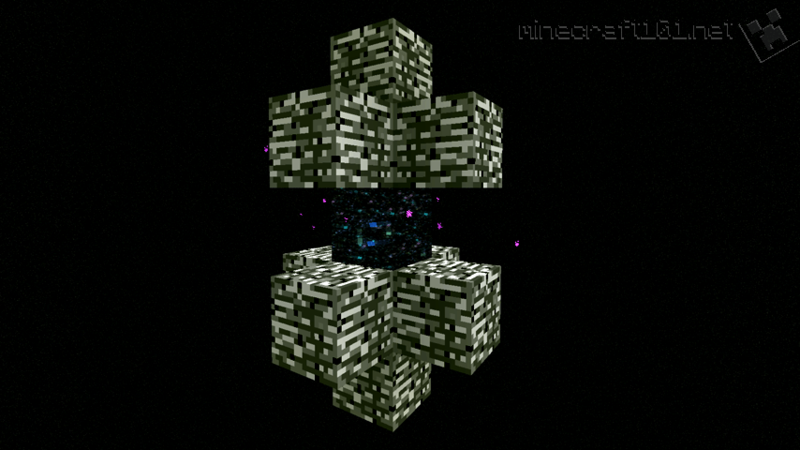 The game Minecraft, and all trademarks and copyrights associated with it, belong to Mojang AB. Minecraft 101: for all your Minecraft tutorial, guide and reference needs! Get the game from www.minecraft.net. 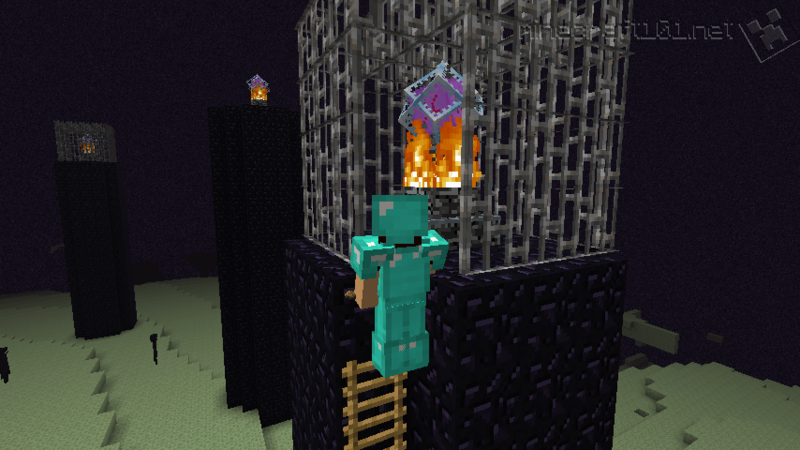 Learn how to play the game here, with our Minecraft walkthroughs, guides and tutorials. Find out about the world of Minecraft, the mobs you'll meet, and how to craft items, enchant your gear, brew potions, and build with redstone.